The weekend before last I went to a wedding and the dress I wore was black and white. 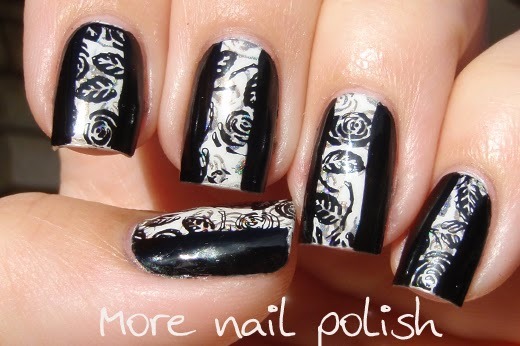 It was black on the sides with a white panel down the front with a printed rose design. Naturally I had to create some matching nails. 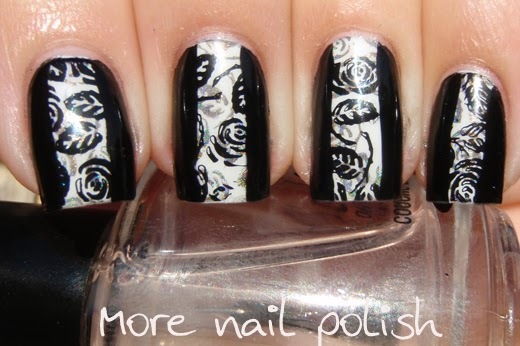 I started with white nails and double stamped with Dance Legend T-100 and black using a rose and leaf design from plate DRK-A. 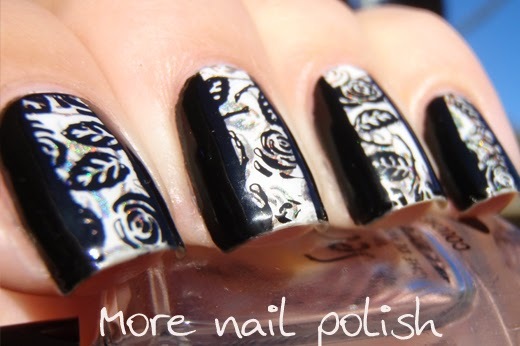 I then carefully painted down each side of the nail using black polish. It matched my dress perfectly, but I'm afraid I didn't even think to get a photo of my dress and nails together - Der! Stunning! I bet you looked gorgeous! ohmy gosh this is fabulous,and classy. Love it!